You can find a wide variety of cooking classes and schools in Toronto where you can easily learn how to prepare dishes from every corner of the globe. 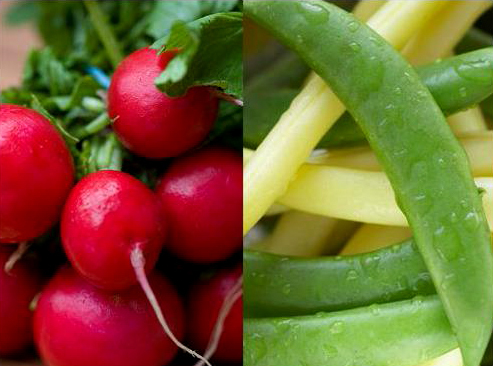 Extraordinary courses about macrobiotic foods, indigenous root vegetables, or popular gluten-free dishes are offered too. Many of the courses are led by celebrity chef instructors, who were, surprisingly, the reason why cooking education became such a favoured activity. The options of cooking classes in Toronto have grown steadily over the past decade along with the popularity of celebrity chefs. Fifteen years ago, the selection of cooking classes in the city was limited, but currently, choices from over a dozen different venues are available. Whether you wish to have a fun and casual evening out or your intentions about learning culinary secrets are serious, the variety of cooking schools in the following list should provide you with valuable insight. 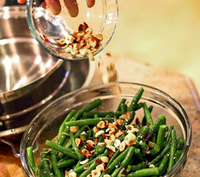 Courses at Fully Nourished are instructed by Marni Wasserman, a well-known chef and a nutritionist. Cooking classes and workshops at her home school concentrate on whole foods and nutritional knowledge. Each one of the classes includes helpful tips in the kitchen along with education about the nutritional content and health benefits of the foods prepared. At Fully Nourished, you can even take unique courses such as Calci-Yum, Heart Healthy, or Naturally Sweetened Desserts. Class size is four to eight people and there is a possibility of home classes for groups or individuals. Marni’s themed class packages are the most affordable option (three Classes at $285). Taking one of these courses after eating the fresh food prepared during the lesson, you will always leave feeling fully nourished by excellent food and valuable information. George Brown courses at their Centre for Hospitality and Culinary Arts are designed for more dedicated home cooks. The wide selection of semestered evening classes (priced $200-$400 for each) are supplied by certificate programs. Options include basic knife skills, specialties of French Farmhouse Cooking, and even a Tea Sommelier course. 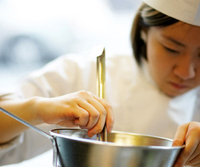 If you commit to doing six different classes, you can achieve a certificate in Baking Arts, Asian Cuisine, or general Culinary Arts. Courses have been developed by industry-leading professionals with a focus on interactive learning. Their newly renovated, state-of-the-art facilities make learning attractive too. 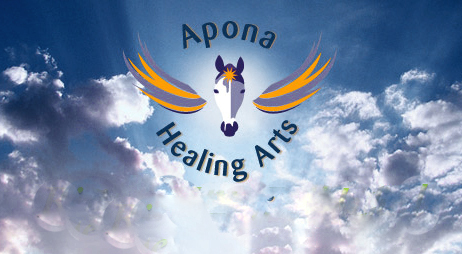 Founded by Lidia Kuleshnyk, a health and life style consultant, Apona Healing Arts offers extensive service in holistic medicine and counselling. Their cooking classes teach you about how to incorporate macrobiotic and healing foods into your daily diet. Practical classes include work with ingredients like herbs, chestnuts, shiso leaves, and other root vegetables to create delicious healing meals. The average class size is five. Lidia describes their cooking classes as unique because they provide “affordable education and amazing healing foods that not only help us be healthier in body, mind and spirit, but also assist in healing health conditions that are often considered untreatable or very difficult.” She then says that clients often ask her how to “use healing food to help breakdown tumours.” If you want to try this approach to nutrition, make sure to check out Apona Healing Arts. The Studio follows a market-to-table philosophy using top-quality, seasonal ingredients to create meals inspired by themes from all around the world. Build complex flavours in a Thai Curry class, get involved in preparation of a Tuscan feast, or make your knife skills breathtaking at one of their intimately sized classes. Prices for classes vary (about $125-$175). Dish Cooking Studio offers many types of courses with pay-it-forward classes being the most unique. In these classes, the group prepares a healthy comfort meal for themselves and the same meal for a designated charity or shelter. The format is very popular with corporate groups who want a team-building event and still to do something useful for the community. The cooking studio might also organize classes exactly according to your wishes. Pam Pridham, director and owner of the Dish Cooking Studio, told me about various themed and extraordinary courses they already organized, including a ’70s disco theme and a 40th birthday celebration. Specializing in organically grown and environmentally safe products, the Big Carrot is a store, a centre of education, and a cooking school. Their offer includes courses for specific dietary needs, and you can get to know about topics like Easter medicinal cooking or raw desserts with them. There are also interesting classes on particular body conditions like anti-inflammatory foods, cancer prevention meals, and eating for mood. "We embrace extraordinary requests. Our school caters to specific conditions and ways of eating so nothing phases us. We’ve had classes called “all about quinoa,” “the candida diet,” and “cooking with seaweed,” said Sarah Dobec, one of the instructors at The Big Carrot. To see how it goes there, you can try their free Thursday evening lectures. At the Healthy Butcher courses, you can learn basically everything about meat. Classes are either demonstrations or hands-on and their prices range from $80-$100. The groups are not so small as in the previously mentioned schools (up to twenty people), but they still sell out quickly so keep en eye on their online schedule if you’re willing to apply. The Healthy Butcher store sells hand-selected products and top-quality meats. If an Art of the Roast cooking class is what you’re looking for and a serving of juicy roast beef or pork comes close to heaven on a plate, these courses are just the right choice for you. hi, I am looking for a good cupcake making class to refer bachelorette parties or groups of friends to in Toronto. Do you know of any apart from Le Dolci who are pretty booked? Hi, I’m looking to purchase a cooking class(es) voucher for my father who has recently retired and is interested in learning more about cooking. Wondering what you can recommend. He’s more of a novice cook and is looking to better his skills. Probably something along the lines of French, Italian would be ideal. It sounds like your father would love our classes! We connect home cooks to famed cooking instructors around the world, to cook iconic dishes with chefs that live where the recipe originated – all through private, 1:1, Skype cooking classes. We have two wonderful Italian chefs and over 10 different Italian cooking classes to choose from. You can visit our website at http://www.TheChefandTheDish.com to see our Italian cooking classes, or contact us and we’d be happy to customize an experience for you. I agree that PC have excellent cooking classes and they make for an affordable night out with friends. Highly worthwhile. Good value for the money. Additionally, they also offer children’s programs on the weekend. I have personally taken multiple courses at both PC stores and at George Brown College and I highly recommend both. Hi, I’m trying to find a Thai cooking class for my partner. Can anyone assist? Thank you. Unfortunately, there isn’t a lot out there right now. PC Cooking School, offered through Loblaws has some one night seminars at a couple of their locations. Their format is more of a demo type of class but makes for a good evening out with a friend. George Brown College Continuing Education is offering a 12 week course this coming summer if your partner is truly interested in pursuing a more indepth and hands on knowledge. Beware though as prerequisites are needed for George Brown, but they do offer consitent top knotch instruction. While I have posted postitively about both of these venues before, nothing else that I can see has received consistent and positive feedback for this particular cuisine. Best of Luck. I just want to know if theres a place in toronto to volunteer and at the same time learning to be a chef? 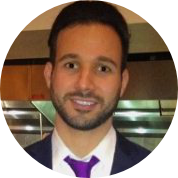 I would like to sign up my son Andres in Bkery and Pastry classes in Toronto. He is 14 years old and loves to bake cheesecakes, cupcakes. He has even tried to bake macarons which was once succesful. He needs techniques and not just follow recipes.